This week I’m making dolls in pairs. Yesterday a girl and her bear. Today I’ve started a deer and girl in matching dresses. I think it’s funny when I come up with these things. I’m so pleased with myself. “I’ll make them to be friends!” I shout out, to no one. Why? Because friends are cute. Okay. Thumbs up. Bear head. I sew my lined armholes by machine, and have a smudge of hand sewing at the waist. You sew the armholes before the side seam. The side seam is done in one seam edge of lining to edge of garment. Sewing the armhole if strange because you have to bring it around the rest of the bodice. Hard to say in words. I sew them the same as Julie. I learned from Oliver+S patterns– Sew the center backs and neckline in one go, then armholes, then match side seams and sew them up. Then you can either topstitch or handsew the lining at the waist (and if you were thinking ahead, you would have turned that edge up and pressed it before starting the whole business. Here’s a good photo tutorial of how I sew lined sleeveless bodices. It’s in French, but you don’t really need the explanation as the photos are really clear. 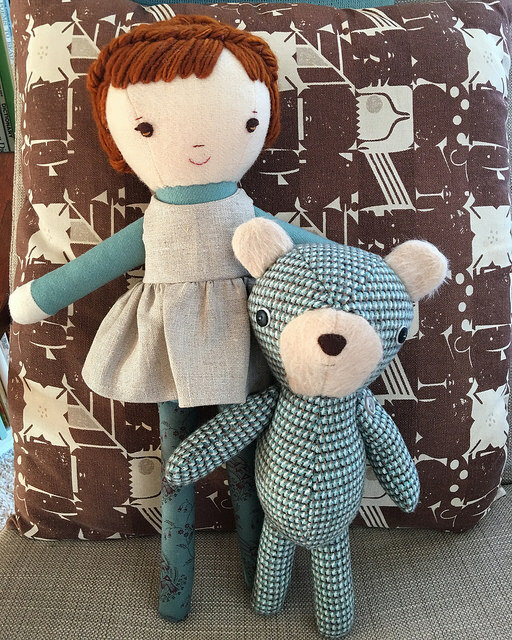 I love this bear and doll pair! Great colors and patterns. 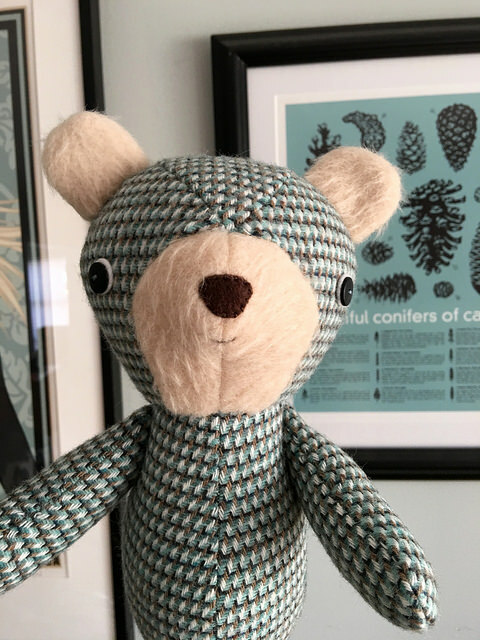 I do it by machine too – it’s fabulous! The link that Dawn included is exactly what I do. What a cute pair, and I love her hair!